Netflix hit a record high on Wednesday after Goldman Sachs analyst Heath Terry raised his price target. 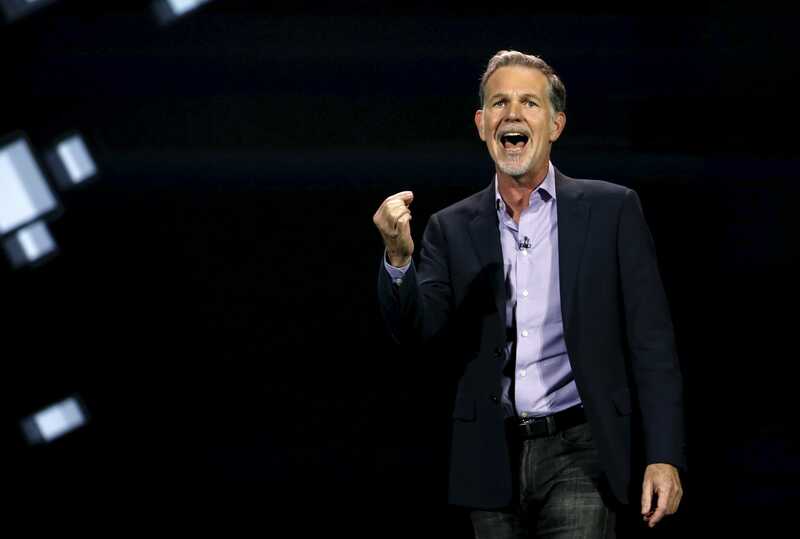 Terry thinks Netflix will soon turn cash flow positive. 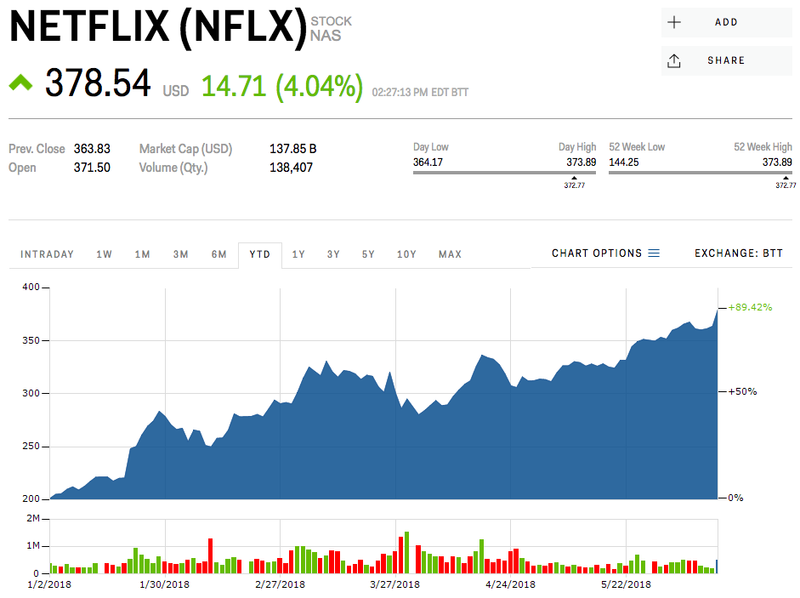 Netflix, one of the darlings of the 2018 stock market, hit a record high Wednesday. Shares touched a record of $383.49 apiece, up more than 4%, on the back of a bullish note from Goldman Sachs analyst Heath Terry. He raised his price target for the movie-streaming giant to $490 a share, almost 30% above where shares are currently trading. Terry believes the company has reached the "inflection" point — one that investors have been hanging their hat on — where the company will turn cash flow positive. Netflix's price-to-earnings ratio is at an extremely elevated 238, but "2018 will be the peak negative free cash flow year for Netflix, with revenue growth beginning to outpace content spend growth next year," Terry wrote in the note out to clients. Netflix has turned in back-to-back profitable quarters in 2018. In both quarters, Netflix beat estimates on subscriber growth, while showing earnings-per-share in line with Wall Street expectations. Netflix is up a stunning 89.42% this year.